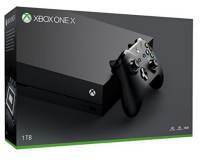 Friday 26 Apr - Latest - Amazon (£429.99), John Lewis (£429.99) and Game currently have stock of XBox One X Console. We constantly track for stock which ensures you will be the first to know when availability is found. Recommended retail price £449.99.